Welcome to Six Flags over Texas. If you've been here before - you know to hit the low capacity rides first, like La Vibora. I got on in about 30 minutes in the Single Rider line. Later on in the day, the normal line was about 2.5 hours long. Yeah, no thanks. The park has a really impressive rocking ship ride. Another coaster to hit early is Runaway Mountain. If this was an outdoor coaster it wouldn't be anything special, but since it is inside - it definitely makes all the difference. The final coaster to hit early is Pandemonium. Later in the day this also had a 2.5 hour long wait. I was honestly surprised at how much better the St. Louis version of the Justice League ride was compared to the SFoT version. You wouldn't think there would be a difference but there was. 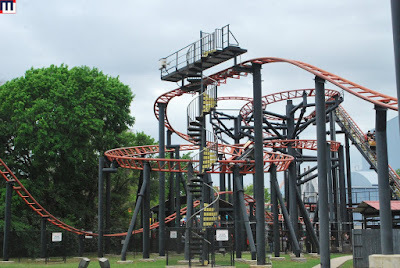 I really like the Runaway Mine Train. It really is hard to believe how old this ride is. The ride through the ACE Saloon before the final plunge is my favorite part. Thank goodness this ride has a Single Rider line otherwise there's no way I would have ridden it today. The entire queue was filled and overflowing into the main midway. The Gold River Adventure is a really cute boat ride past Loony Tunes characters. The Rodeo has to be one of the best themed Breakdances out there. One of the star attractions of the park is TITAN. This coaster towers over this section of the park. I like that it pulls some aggressive G-forces during its course. The other star attraction is the TEXAS GIANT. This coaster is just a lot of fun. Come prepared to wait in line to ride though. It almost always has a line. Make it a train day. Judge Roy Scream is the park's only true wooden coaster now. That's all right though as this out and back wooden coaster is a lot of fun. 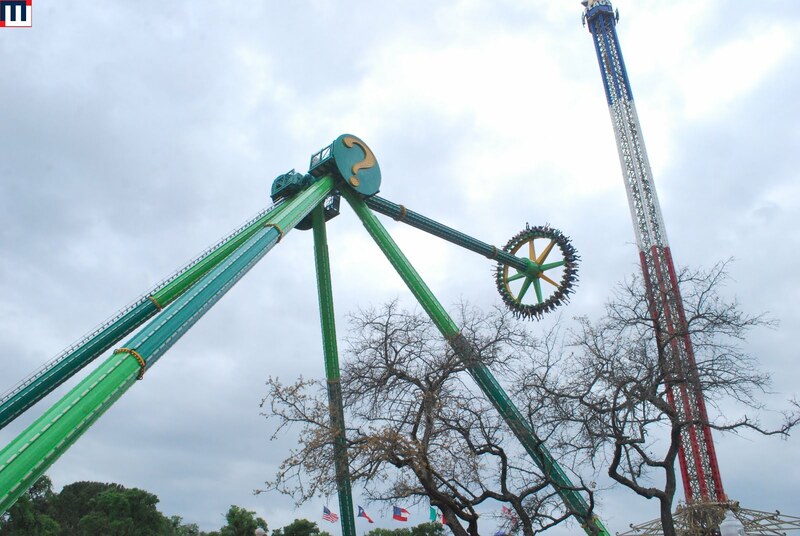 The Texas Sky Screamer is insanely tall. Time to explore the Gotham City section of the park. Mr. Freeze is up first. Even though it is basically the same as the one in St. Louis - I prefer this one at SFoT. Right next door is Batman: the Ride. I like how the two coasters almost duel each other. Batman is still an impressive ride -- and you can see the new villain coaster in the background. This is the newest section of Gotham City and you can see the new Joker looming in the back. The Joker is a S&S Free-fly 4D coaster and is a clone of the Batman the Ride coaster that I rode yesterday at Fiesta Texas. It flips just as much as SFFT's Batman - the only difference is the color scheme. Riddler Revenge is the other big ride in this area. It commands some major wait times. The final ride in the area is Harley Quinn Spinsanity. It is a retheme of the trioka ride that has been in this spot for awhile now. I had a great birthday at the park - but the crowds are just insane.